The sudden closure of the Legal Aid Service – Tutela Legal – of the Archbishop of San Salvador appears to be a massive blow to efforts to hold human rights violators and war criminals from the civil war accountable for their deeds. Without previous notice or warrant, workers arrived at their offices on September 30 to find new locks on the doors and private guards blocking the entrance. That same day some of the workers claimed to have discovered evidence indicating that Monsignor José Luis Escobar Alas, the Archbishop, had long before decided to close Tutela. The office was opened in 1982 by Mons. Arturo Rivera Damas to fulfill a project designed by his predecessor, Mons. Óscar Arnulfo Romero, the Archbishop killed two years earlier during mass by a death squad and who is now under consideration for sainthood by the Vatican. It holds one of the most detailed archives on the repression, crimes and human rights violations committed during the Salvadoran war, mainly by state-sponsored agents. Mons. Escobar Alas has surprised observers in the past. 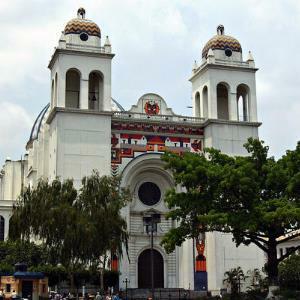 In late 2011, he ordered the removal of a mural by a popular Salvadoran artist from the Metropolitan Cathedral without any explanation to the artist or to the church’s large congregation. The mural commemorated the earliest attempts at a negotiated settlement to the war. Facing an outcry, Escobar Alas claimed the mural was Church property and that the Church was entitled to do with it as it pleased. The same tone was evident after the Tutela closing as protests came not just from a good number of Catholics but from the Ombudsman’s office, the President of the Republic and 258 US and Salvadoran scholars who ran an ad in a major newspaper. The Archbishop and his spokesmen provided at least three different versions of the event, saying alternately that Tutela was closed because it had already served the purpose for which it was created in the war years; it was closed to give its spaces to an ad hoc commission (with an unclear mandate and authorities); and that the Church had encountered financial wrongdoings in Tutela so grave that it had to close. The closure happened at a time of important progress in human rights accountability. At the center of it all was access to Tutela’s archives, some 50,000 files about the infamous 1980s – potentially crucial evidence in ongoing or upcoming judicial processes that Salvadoran elites have long tried to keep under wraps. For the first time in a decade, last month the Attorney General’s office made public its intention to open a special unit committed to review war massacres such as the one in El Mozote, where some 1,000 peasants were killed by a U.S.-trained elite battalion. Also, for the first time since the early post-war period, an independent Constitutional Chamber of the Supreme Court of Justice agreed to hold a hearing on the admissibility of a case under the Amnesty Law, the legal provision that has prevented many cases from being brought to justice. And for the first time, there is a real chance for a Spanish court to address the murder of six Jesuit priests and their two aides after one of the accused in that massacre, a colonel, was convicted and imprisoned in a U.S. jail pending extradition to Madrid. In all of these legal cases, the files held by Tutela Legal would provide crucial documentation to prosecutors. The only credible explanation for the closing of the service is that pressure was brought to bear on the Archbishop by interests that wish to block access to this important body of evidence in the event that they are unable to prevent trials from opening. The ad hoc commission that the Archbishop said will be formed will include members with credibility – including Father José María Tojeira, former Jesuit envoy for Central America, and Mons. Jesús Delgado, Archbishop Romero´s biographer – and may hold some promise. But the vagueness about its authority and technical questions, including the legal admissibility of Tutela files as the chain of custody is broken, raise serious doubts. Whatever happens, the many Salvadorans who believe in the healing power of memory – and accountability – will need to remain constantly vigilant. The same memory has been a persistent discomfort to some Salvadoran elites, who have long thwarted such efforts.